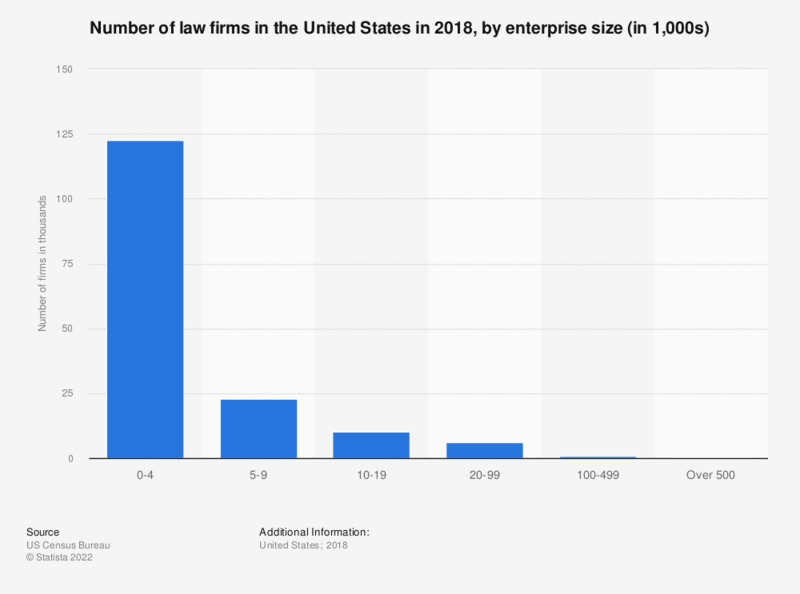 This statistic shows the number of law firms in the legal services market in the United States in 2016, broken down by enterprise size. In that year, around 207 law firms in the United States had over 500 employees. Can you envision a law-focused ‘Watson’ replacing any of the following timekeepers in your firm in the 5 to 10 years? How is legal analytics most valuable? Which legal practice area will offer the greatest number of job opportunities in the first half of 2017?